Obituary for Sylvia Balas | Williams Funeral Home, P.A. 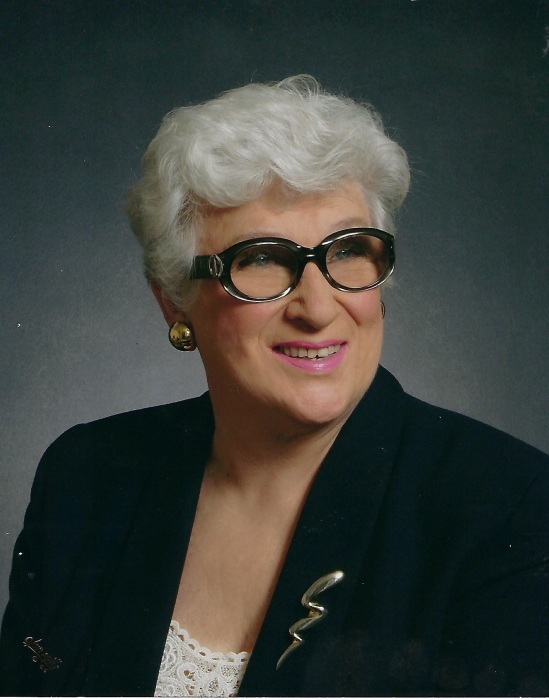 Sylvia Balas, 85, of Bryans Road, MD passed away Friday, April 5, 2019. She was born in Forestville, PA on July 30, 1933. She was the daughter of Luke and Mary Demsko. Sylvia was a loving and devoted wife, cherished mother and grandmother, beloved daughter, sister, aunt, and friend to many. Sylvia was predeceased by her parents Luke and Mary Demsko, her husband John M. Balas Jr., mother and father in law, Agnes T. and John M. Balas Sr., sister, Lucille Winters; brothers-in-law, Santo Vita and Father Christopher Balas; son, Christopher Luke Balas, and daughter-in-law, Toni Balas. Sylvia is survived by her children, John J. Balas (Carol), Valerie J. Shipton (Paul), grandchildren Jennifer and Stephanie Balas, Lauren and Alexandra Shipton, Erica Balas, sister, Lydia Vita, sister-in-law Sister Ruth Anne Balas, and niece Sheri Winters. Sylvia graduated high school in 1950 and moved to Washington, DC where she worked for the Department of the Navy in Arlington, VA. She married John M. Balas Jr., on December 9, 1955. Sylvia was a real estate agent for Baldus RE in the 70’s and started working at the Naval Research Lab in Washington, DC in 1982. She retired from the NRL Tactical Electronic Warfare Division in 1996. Upon retirement Sylvia continued to pursue her love of travel by taking numerous trips to the UK, France, and Italy. Sylvia loved spending time with her family, and was a lifelong fan of the Washington Redskins. Sylvia’s hobbies included traveling, reading, gardening, arts and crafts, antiquing, cake decorating, sewing, playing the piano, and singing in the church choir. Sylvia was a dedicated volunteer. Throughout the years her volunteer service included: PTA’s, Room Mother, Den Mother, Brownie/Girl Scout Mother, Phys Ed helper, BRFD Company 11 Twirlettes and Drum Corp Director, St. Mary’s Star of the Sea School, Western Charles County Parks and Rec Rep, Little League Baseball and Football, Governor’s Council on Children Committee, Community Development Block Grant Committee, Ruth B. Swann Park Committee and Charles County Board of Elections. Other memberships and service included, The Professional Women’s Club, MAR, SMAR, and Legislative Assistant to Delegate McCaffrey for the 28th District. Friends will be received on Monday, April 15, 2019 at St. Mary’s Star of the Sea Catholic Church, Indian Head, MD at 10 AM, followed by a Mass at 11 AM. Burial at Maryland Veterans Cemetery, Cheltenham, MD.